Wellness Together, in partnership with the California Department of Education, welcomes you to the 2019 California Student Mental Wellness Conference as we work together to advocate for the mental wellness of California's students, families, and educators. Join over 1,000 educators, school administrators, policy-makers, and school mental health professionals for two days of networking with colleagues, gaining evidence-based tools, and celebrating common goals. CLICK HERE to read the conference invitation letter from California State Superintendent of Public Instruction. John B. King Jr., JD, EdD is the president and CEO of The Education Trust, a national nonprofit organization that seeks to identify and close opportunity and achievement gaps, from preschool through college. King served as the U.S. Secretary of Education as a member of President Barack Obama’s administration. In tapping him to lead the U.S. Department of Education, President Obama called King “an exceptionally talented educator,” citing his commitment to “preparing every child for success” and his lifelong dedication to education as a teacher, principal, and leader of schools and school systems. Before becoming education secretary, King carried out the duties of the U.S. Deputy Secretary of Education, overseeing all policies and programs related to P-12 education, English learners, special education, and innovation. King joined the department following his tenure as the first African American and Puerto Rican to serve as New York State Education Commissioner. King’s life story is an extraordinary testament to the transformative power of education. Both of King’s parents were career New York City public school educators, whose example serves as an enduring inspiration. Both of King’s parents passed away from illness by the time he was 12 years old. He credits New York City public school teachers for saving his life by providing him with rich and engaging educational experiences and by giving him hope for the future. King holds a Bachelor of Arts in government from Harvard University, a J.D. from Yale Law School, as well as a Master of Arts in the teaching of social studies and a doctorate in education from Teachers College at Columbia University. Daniel Amen, MD has been called “The Most Popular Psychiatrist in America” by The Washington Post. He is a 10-time New York Times Bestselling Author, the founder of The Amen Clinics, a double board-certified psychiatrist, and an international speaker. The Amen Clinics have the highest published success rates treating complex psychiatric issues, building the world’s largest database of functional brain scans, totaling more than 135,000 scans on patients from 120 countries. Dr. Amen has published over 70 scientific articles on topics including Autism Spectrum Disorder, resistant depression, suicide, Attention Deficit Hyperactivity Disorder, Posttraumatic Stress Disorder, and Traumatic Brain Injury. His research was recognized by Discover Magazine in its Year in Science issue as one of the “Top 100 Stories of 2015.” Dr. Amen is the author of over 30 books, including the #1 New York Times bestseller, Change Your Brain, Change Your Life, Healing ADD, and Unleash the Power of the Female Brain. Dr. Amen has written, produced and hosted 12 popular shows about the brain on public television. He has also spoken for the National Security Agency (NSA), the National Science Foundation (NSF), Harvard’s Learning and the Brain Conference, and the Department of the Interior. Dr. Amen’s work has been featured in Newsweek, Time Magazine, Huffington Post, BBC, The Guardian, Parade Magazine, New York Times, New York Times Magazine, Washington Post, LA Times, Men’s Health, and Cosmopolitan. 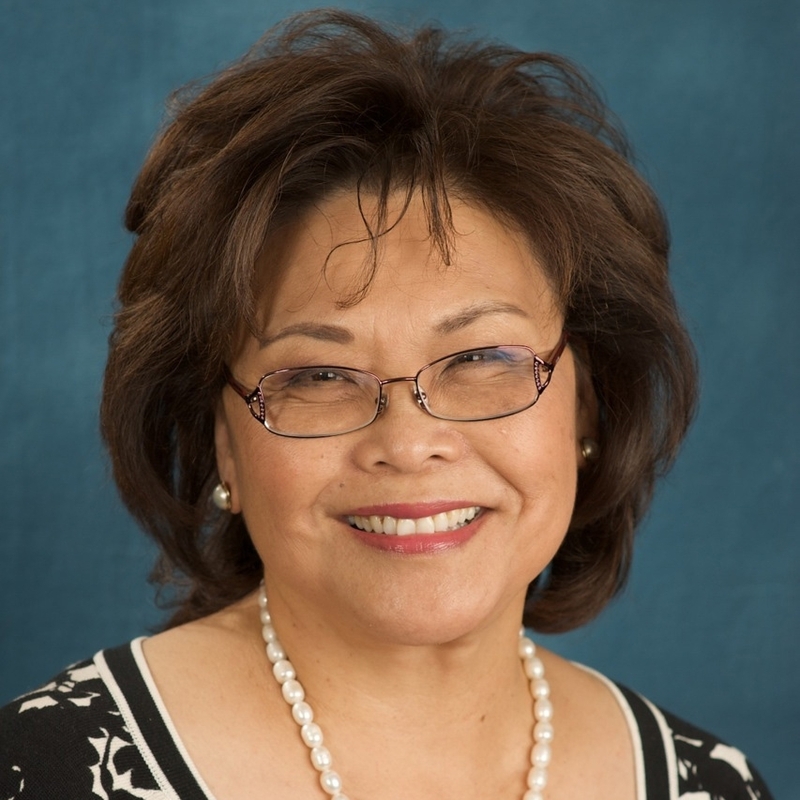 Marleen Wong, Ph.D., LCSW is the Senior Vice Dean and clinical professor at the USC Suzanne Dworak-Peck School of Social Work, serving as Director of Field Education, overseeing the field placements of all Master of Social Work students studying at five academic centers, including the Virtual Academic Center with students based all over the United States. In addition to her work in field education, Wong is an internationally recognized mental health expert. Called one of the "pre-eminent experts in school crisis and recovery" by the White House and the "architect of school-safety programs" by the Wall Street Journal, Wong has developed mental health recovery programs, crisis and disaster training for school districts and law enforcement in the United States, Canada, Israel, and Asia. Formerly the Director of Mental Health Services, Crisis Intervention, and Suicide Prevention for the Los Angeles Unified School District (LAUSD), and Director of School Crisis and Intervention at the National Center for Child Traumatic Stress at the UCLA David Geffen Medical Center, Wong is one of the original developers of the Cognitive Behavioral Intervention for Trauma in Schools (CBITS), an evidence-based program using skill-based group intervention to relieve symptoms of Posttraumatic Stress Disorder, depression and general anxiety among children traumatized by violence, bullying, and trauma. She is also one of the developers of Psychological First Aid/Listen, Protect, Connect (PFA/LPC) – a school-based universal prevention intervention for educators and school staffs (non-mental health professionals) to use in supporting students after crises or disasters – that is now being implemented across the United States. Steven Adelsheim, MD is the Director of the Stanford Center for Youth Mental Health and Wellbeing in the Department of Psychiatry. He is a child/adolescent and adult psychiatrist who works to support community behavioral health partnerships locally, regionally, at the state level and nationally. Dr. Adelsheim has partnered in developing statewide mental health policy and systems, including those focused on school mental health, telebehavioral health, tribal behavioral health programs, and suicide prevention. For many years Dr. Adelsheim has been developing and implementing early detection/intervention programs for young people in school-based and primary care settings, including programs for depression, anxiety, prodromal symptoms of psychosis, and first episodes of psychosis. Dr. Adelsheim is also involved in the implementation of integrated behavioral healthcare models in primary care settings as well as the use of media to decrease stigma surrounding mental health issues. He is currently leading the US effort to implement the headspace model of mental health early intervention for young people ages 12-25 based in Australia. Dr. Adelsheim also leads the national clinical network for early psychosis programs called PEPPNET. $50 off student discount is available. Contact Wellness Together at info@wellnesstogether.org for 2019 conference information. A limited number of rooms have been reserved at the Sheraton Grand Sacramento Hotel at a discounted rate for conference attendees. Click here or call (916) 447-1700 to make your reservation. Creating a schedule is for planning purposes and does not reserve a seat in selected breakout sessions. All breakout sessions have a limited capacity and session attendance is on a first come first served basis. View the 2019 California Student Mental Wellness Conference schedule & directory. By attending the 2019 California Student Mental Wellness Conference, you acknowledge and agree to grant Wellness Together Inc. the right to record, film, photograph, or capture your likeness at the conference in any media now available or hereafter developed and to distribute, broadcast, use, or otherwise globally to disseminate, in perpetuity, such media without any further approval or payment from you. This grant to Wellness Together includes, but is not limited to, the right to edit such media, the right to use the media alone or together with other information, and the right to allow others to use or disseminate the media. If registering for a third party, I agree to inform them of the "Use of Likeness" Policy prior to the event. Tickets to the California Student Mental Wellness Conference have sold out in previous years and the event is projected to reach capacity again this year. Space is limited. Please purchase your tickets as soon as possible to ensure availability. We look forward to seeing you! Tickets to the California Student Mental Wellness Conference 2019 are non-refundable. If for any reason you are unable to attend the conference, you may transfer your registration to a colleague. Contact us at info@wellnesstogether.org to reflect changes in your registration. The California Student Mental Wellness Conference welcomes a wide variety of sponsors and presenters from diverse backgrounds. The views and opinions expressed by these organizations and individuals do not necessarily represent those of Wellness Together or the California Department of Education. Proposed presentations are all subject to change.